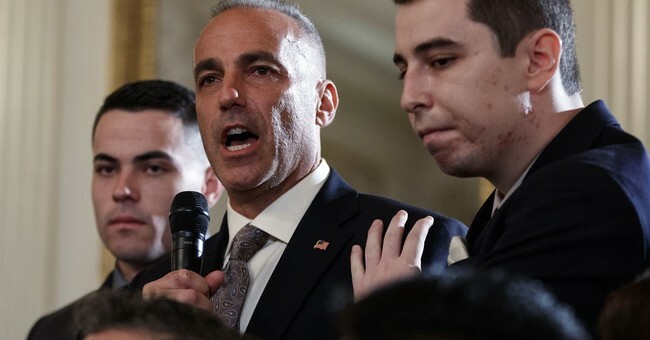 UPDATE: Andrew Pollack is speaking out against the Broward teachers' union. He offered the following statement to Townhall. "The teachers in Broward County deserve so much better than the leaders of their union. If you talk to union leaders privately, they'll admit that the district's discipline policies allow teachers to be essentially abused by kids while administrators look the other way. But if you ask them publicly, they'd sooner verbally abuse a kid than defend their own members from administrators. It's so sad, because teachers deserve so much better." Officials representing the Broward County Public School District in Florida have been criticized for their apparent inaction both in the lead up to and in the wake of the shooting at Marjory Stoneman Douglas High School in February. Seventeen people were killed in the devastating attack and the community has been searching for answers. Some parents have leveled their anger at Robert Runcie, the Broward County School District superintendent, particularly after he ended some planned safety measures, like placing metal detectors in the school. Others have accused the Broward County school board of hiding their shortcomings ahead of the tragic attack. Hunter Pollack, who lost his sister Meadow, has begun to vent his frustration at the Broward County teachers' union. He was in an online exchange with a few of the members on Monday regarding a baseball coach and security monitor who had been accused of sexual harassment, when one of them, Valter Meranda, started to mock his appearance. Hunter and Meadow's father Andrew was not pleased. Members of the @BrowardTeachers union were making fun of my son @PollackHunter’s head on Facebook.. The elections for Broward's school board have elicited emotions all across the country - even in Washington. Sen. Orrin Hatch (R-UT) took the rare step of endorsing a Parkland father, Ryan Petty, who is running to unseat one of the board members. Hatch credited Petty with helping him enact the STOP School Violence Act, which he says will help the community better assess threats. Hunter wondered what Meranda and the other union members think of their students, considering how they mocked his appearance. Valter Meranda of the @BrowardTeachers Union comments assuming I have a condition because of the shape of my head makes me question what he says to his students who have special needs. This is the type of teachers @RobertwRuncie has in Broward County. As far as I can tell, they have yet to issue an apology.